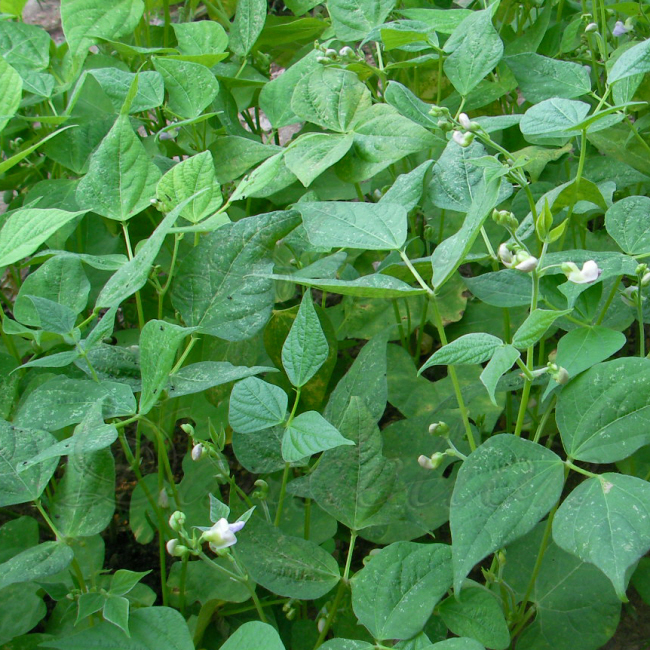 These are Contender beans also called Buff Valentine. 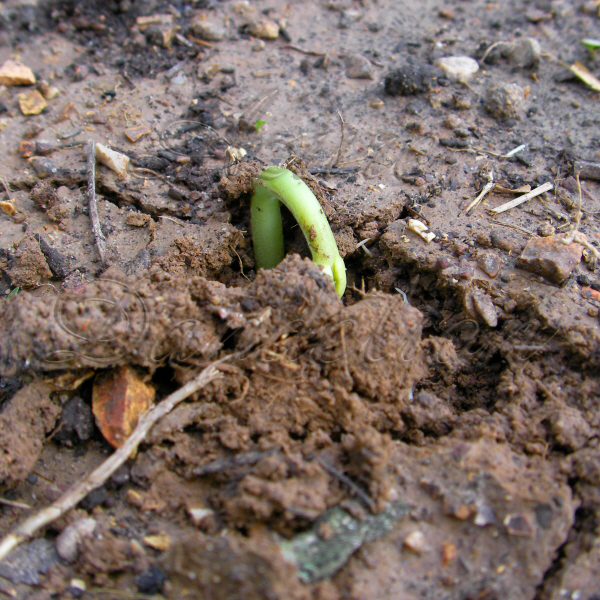 They are one of the earliest beans at 48 days until harvest. 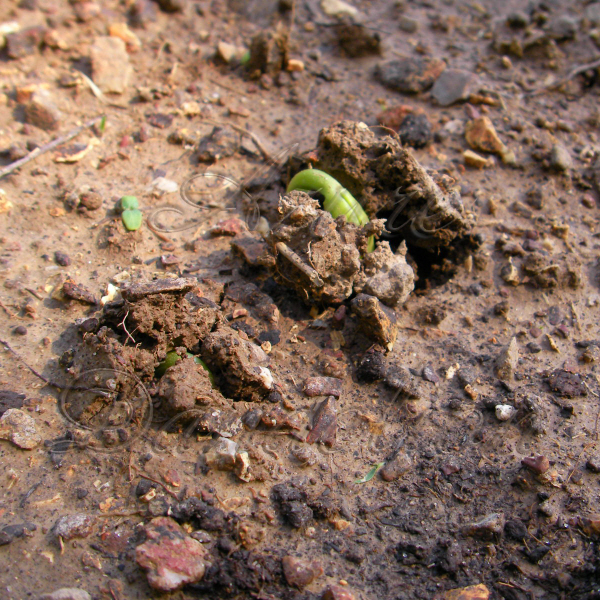 We planted ours 4 days ago and they are already rising out of the ground or should I say our tough Ozark soil. It’s amazing how quick some plants sprout. 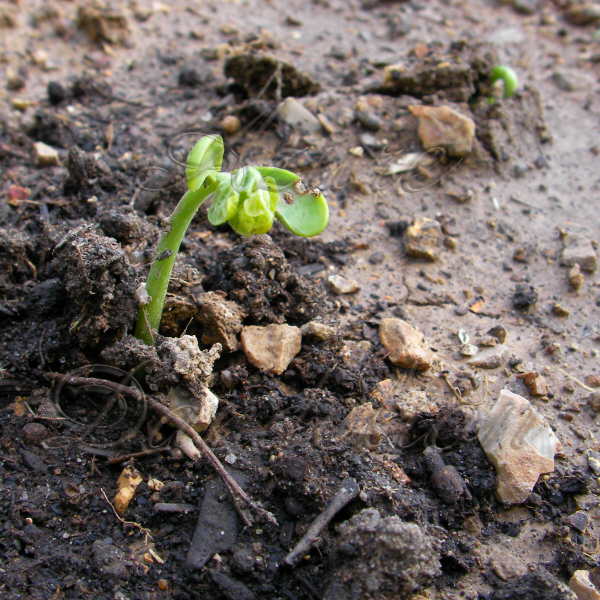 May 3rd….In the picture below the contenders are 8 days old and have a set of real leaves. Here they are June 19th, 24 days. 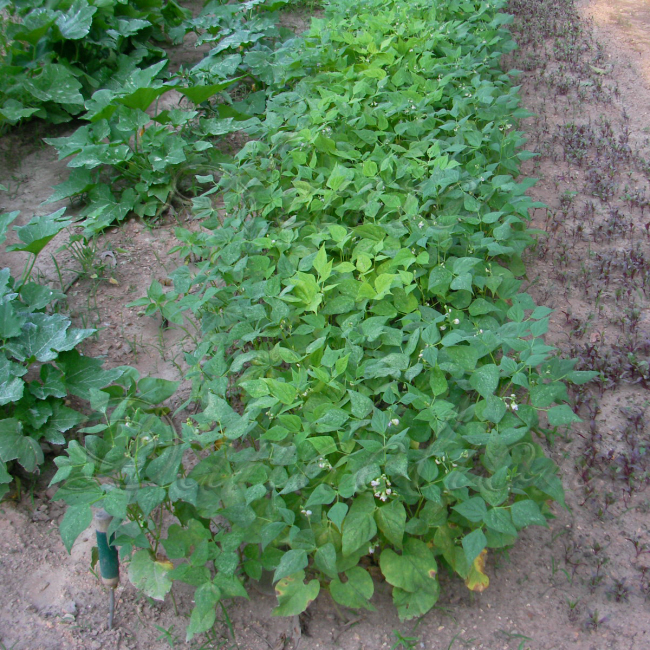 This picture shows young Bulls Blood Beet on the right side of the screen White Scallop Squash on the left, and a little isolated Bell Pepper hidden in between the squash. When planting the rows, It was one of those, oopps missed a spot things. This shows a close up of them blooming. It also shows a few Flea Beetles if you look close. Little black specks. They will tear up a garden if you let them, making lace patterns in the leaves. They haven’t done much damage to these beans you can barely see it in the pictures. 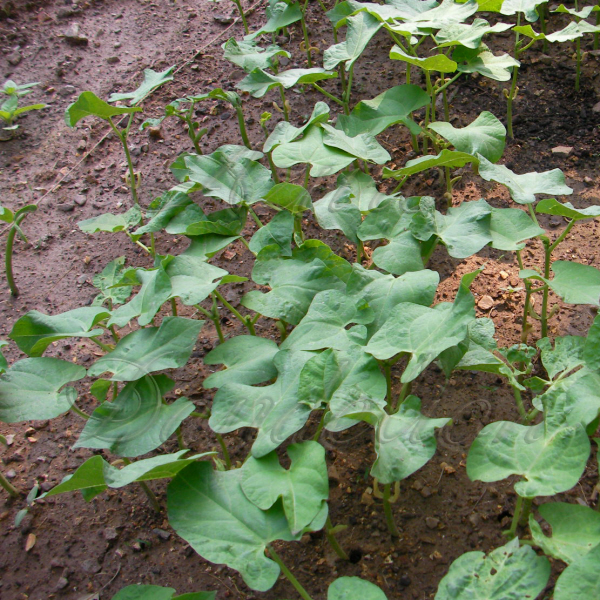 They will eat right through the tender leaves of plants like Eggplant. Growing organically isn’t always pretty. We have been trying to get a jump on getting rid of these little buggers before they do too much damage. The bigger brown spots here and there in the above picture, isn’t from bugs, it is just the first older leaves dying off, a natural progression.